MR. EARNEST: But because today marks my last briefing, I hope you’ll indulge me a couple of personal thoughts before I go to your questions. As I prepared to stand here at this podium for the last time, I thought a lot about the first time. It was 16 years ago this week. It was January, 2001. I had just moved to Washington, D.C., and I got on a West Wing tour with a friend of a friend. We walked through the halls of the West Wing on that tour. We saw tired White House staffers lugging boxes of their personal belongings out of the building, much the way that people who are on West Wing tours today see. And on the tour, I smiled for a photo that a friend took of me standing behind this very podium. I had been in D.C. for a grand total of two weeks. I had no contacts. I had no job prospects. I had no relevant Washington experience. I was sleeping on the floor of a college buddy’s apartment that had a spare bedroom — and by spare, I don’t just mean it was an extra bedroom; it was an empty bedroom containing only the items that I had managed to load into my car when I moved here from Texas. So it’s fair to say that there weren’t too many other people on the tour that night who thought I would stand here in front of you as something other than a tourist. So it’s been an extraordinary journey, and this has been an extraordinary chapter. This is the 354th White House daily briefing that I have led as the Press Secretary — Mark can check me on that number. (Laughter.) Not every briefing started exactly on time. (Laughter.) There might have been a briefing or two that went a little longer than you would have preferred. But you had to admit there was a lot to discuss. We had plenty of shameless plugs for the Kansas City Royals to squeeze in. (Laughter.) There was, of course, the Freedom Caucus’s infamous Tortilla Coast gambit. There was Congressman Steve Scalise who reportedly compared himself favorably to David Duke. There was the reintroduction of the word “snafu” into the political lexicon as we were working to pass TPA. We discussed at length the various ways you can catch Zika, the various ways you can catch Ebola, and the various reasons scientists recommend you vaccinate your kids so that you don’t catch the measles. Jon Stewart lit me up as I struggled to explain to Jon Karl why a couple of our political ambassadors for some reason had no idea what they were doing. (Laughter.) At least the Stewart segment made some of my friends laugh. The daily briefing, of course, is the most high-profile part of the press secretary’s job, but it’s not the only part that matters. The more important part, in many ways, is working with all of you and ensuring the freedom of the press that keeps this democracy vital. When I first entered this role, I worked closely with the White House Travel Office and the Department of Defense to reform the billing process for your flights on military aircraft, including Air Force One, making those bills more transparent and smaller. In the last two and a half years, we’ve cajoled governments in China, Ethiopia, and Cuba to host news conferences on their soil, allowing the leaders of those countries and their citizens to see firsthand what it means for independent journalists to hold those in power accountable. Of course, it was the end-of-the-year news conference that the President convened in this room in 2014 that got as much attention as any other because President Obama called on eight journalists, all women. And finally, everything about this final week makes me think of all the incredible people whom I’ve been blessed to work with these past eight years. I only have this opportunity because Robert Gibbs pulled me aside on Election Night 2008 in Chicago as the returns were coming in to tell me that he wanted me to come work with him at the White House. I’m only here because Jay Carney, Jennifer Palmieri and Dan Pfeiffer supported and encouraged me when I was the deputy, and advocated for me when Jay stepped down. I’ve also benefitted from a kitchen cabinet of senior White House officials, who’ve got a lot of other important responsibilities that are part of their formal job description, but stepped in to help me out every time I asked for it. And that’s people like Denis McDonough and Susan Rice and Jennifer Psaki, Liz Allen, Jesse Lee, Cody Keenan, and, of course, Ben Rhodes. And I’ve only been able to do this job because I have an incredible team around me. Applause is appropriate at that point. (Applause.) I think the only team that may contend with them might be the research department here at the White House that’s led by Alex Platkin and Kristen Bartoloni. But I hope you’ll get a chance over the course of the next week to thank the stenographers for their important work, because I know they make your lives a lot easier, too. The same goes for Peter Velz, Brian Gabriel and Sarah Rutherford, who are stretched as thin, and who are at least as effective as any team of press wranglers we’ve ever had here at the White House. My colleagues at the NSC, including Ned Price, Emily Horne, Mark Stroh, Carl Woog, and Dew Tiantawach patiently explained to me things that I didn’t know so that I could, in turn, explain them to you. My team in lower press — Patrick Rodenbush, Katie Hill and Brandi Hoffine — is as talented and as dedicated as any press team in this town. I begged Brandi to join this team when I first got this job, and her performance has far exceeded the sky-high recommendations I got from people all over town after I interviewed her. They are all — Katie, Brandi and Patrick — as they say, going places. Eric Schultz is simply the best deputy that anyone in any field could ask for. He shows up early, he stays late. He’s deft — that’s an inside joke. (Laughter.) He’s always prepared. He’s unfailingly loyal. His judgment is sought after throughout the halls of the White House, not just by me, but by various members of the senior staff and I’m sure will be sought after in his bright post-White House future, too. Including by me. When you’re President of the United States and widely regarded as among the most thoughtful and eloquent speakers on the planet, it must be hard to watch someone go on TV and speak for you. I suspect that’s why, when the President offered me this job, he said he wouldn’t watch my briefings. (Laughter.) But I know that he saw parts of them on those very rare occasions that he watched cable TV. And he never second-guessed me. Not once. He didn’t just give me the opportunity of a lifetime, he had my back every single day. And I’m grateful for it. But there is one person who contributed to my success more than anyone else, and she doesn’t even work at the White House. My wife, Natalie, was six months pregnant with our first child when I got this job. She was home with the air-conditioning repairman when the President of the United States called me into the Oval Office to offer me the job. When I got back to my desk, I saw that I had several missed calls on my cellphone from her. I quickly called her back. I told her that I was sorry that I missed her calls, but that I had the best possible excuse for missing them. Since then she has extended to me more support and understanding than I could ever ask for, even as she was becoming the best mom any two-year-old kid could hope for. When I missed the mark up here, she didn’t hesitate to tell me about it. And when I got it right the next day, it was usually because I followed her advice. So, thank you, sweetheart, for your patience, your loyalty, your counsel, and your love. Without it, I would not be standing here. And I will never be able to make it up to you, but I look forward to spending some more time with you and Walker so I can give it a shot. Serving as the White House Press Secretary under President Obama has been an incredible honor. I’ve had the opportunity to advocate for his vision of the country, the same vision that deeply resonated with me when I signed up to work for him in Iowa in March 2007. And while those of us who have been fortunate enough to serve him here will go on to make a difference in new ways, I take heart in knowing that all of you will still be here. 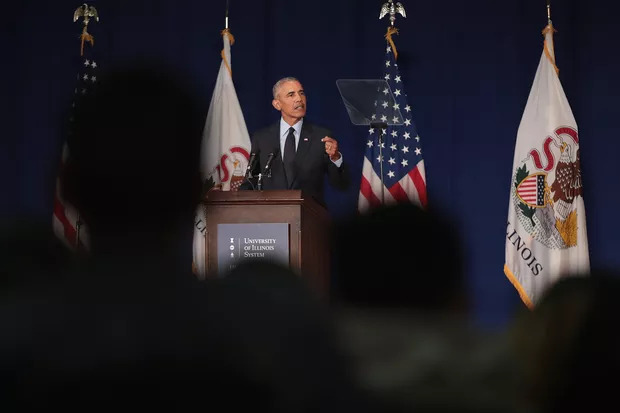 I draw confidence in knowing that you are driven by the same spirit that prompted those young kids that I mentioned at the top of my briefing a couple of weeks ago to move to an Iowa town that they’d never heard of to organize support for the Obama campaign. You have the same determination as the young people who are moving to Washington, D.C. today, with no job, with no contacts and no prospects, who are hoping to work in the Trump administration. You’re motivated in the same way as the career civil servants, like the one as the Department of Education, who’s trying to stretch her agency’s budget to ensure as many Hispanic kids as possible can get a decent education. You have so much in common with these people because each of you and what you do every day is critical to the success of our democracy. There will be days when you’ll show up to work tired. I know the same was true of those Obama organizers in Iowa. There will be days where you will feel disrespected. And I know many of the young Republican staffers who move to Washington looking for a job will feel that way at times. It’s hard to pound the pavement in this town when you don’t know anybody. There will be days where you will wonder if what you’re doing even makes a difference. And I know that our civil servants sometimes wonder the same thing. But I assure you, if you — the most talented, experienced, effective press corps in the world — didn’t play your part in our democracy, we would all notice. Your passion for your work and its centrality to the success of our democracy is a uniquely American feature of our government. It’s made President Obama a better President and a better public servant. And it’s because you persevere and you never go easy on us. So even though it’s my last day, you better not let up now. So in that spirit, let me say for the last time standing up here — Josh, you want to get us started with questions. THE PRESIDENT: I’m not interrupting because he was saying nice things about you guys — (laughter) — because I largely concur. But what struck me most, in addition to his smarts and his maturity and his actual interest in the issues, was his integrity. There are people you meet who you have a pretty good inkling right off the bat are straight-shooters and were raised to be fundamentally honest and to treat people with respect. And there are times when that first impression turns out to be wrong, and you’re a little disappointed. And you see behind the curtain that there’s spin and some hype and posturing going on. But then there’s others who, the longer you know them, the better you know them, the more time you spend with them, the more you’re tested under tough situations, the more that initial impression is confirmed. And I have now known this guy for 10 years, almost, and I’ve watched him grow and I’ve watched him advance, and I’ve watched him marry, and I’ve watched him be a father, and I’ve watched him manage younger people coming up behind him. And he’s never disappointed. He has always been the guy you wanted him to be. And I think that if you’re the President of the United States and you find out that this is the guy who has been voted the most popular Press Secretary ever by the White House Press Corps, that may make you a little nervous, thinking well, maybe the guy’s going — being too solicitous towards the press. But the fact is, is that he was worthy of that admiration. He was tough, and he didn’t always give you guys everything you wanted. But he was always prepared. He was always courteous. He always tried to make sure he could share with you as much of our thinking and our policy and our vision as possible, and tried to be as responsive as possible. And that’s how he trained the rest of his team to be. So, of the folks that I’ve had the great joy and pleasure of working with over the last 10 years on this incredible journey, this guy ranks as high as just about anybody I’ve worked with. He is not only a great Press Secretary, but more importantly, he is a really, really good man. And I’m really, really proud of him. And, Natalie and Walker, thanks for putting up with all of this — because they’ve made sacrifices, too. MR. EARNEST: Thank you, sir. Q Before you go, respond to Vladimir Putin? MR. EARNEST: Well, that was awfully generous. So the President will be back tomorrow. He’ll be standing here and he’ll be answering your questions. Today you’re going to settle for me. So, Josh, you want to get us started? Q Sure. Thanks, Josh, and I want to thank you and your team for your hard work and service in your roles. We’ve all tussled aggressively with you over the last many years, but that was as it should be, and you all have continued to always engage with us and we appreciate that. Following up on the question that was just asked, have the Obamas decided where they will be heading when they board the Presidential aircraft for the final time on Friday? MR. EARNEST: Yes. Josh, I can tell you that the First Family is looking forward to flying to Palms Spring, California on Friday. The President vowed to take his family to a destination that is warmer than Washington, D.C. on Friday, and Palm Springs fits the bill. This is a community that the President has visited on a number of occasions as President of the United States. He and his family have enjoyed the time they have spent there in the past and they’re looking forward to traveling there on Friday. Q And President Putin today was accusing the Obama administration of spreading false information about the President-elect in an attempt to delegitimize his presidency and said that those in this administration who did that were worse than prostitutes. Does the Obama administration have any comment on that? MR. EARNEST: That’s an interesting metaphor that he chose there. Listen, as I’ve said on a number of occasions, the men and women of the United States intelligence community are patriots. They are experts in their field. They do their work not because of the glory associated with it — because most of the time they have to keep their names secret. They don’t do it for the big pay — because in many situations they could make a whole lot more money in the private sector. They do their important work to keep our country safe because they love this country, and they have served us incredibly well in keeping us safe. They have served President Obama enormously well. And this is not the first time that the intelligence community has had some uncomfortable things to say about Russia. These are the kinds of the things that I’m sure the Russians would rather not hear. But ultimately — and this is something that the next administration is going to have to decide — there’s a pretty stark divide here. On one side, you’ve got the men and women of the United States intelligence community. You’ve got Democrats in Congress — you’ve got Republicans in Congress — who are concerned, deeply, about the way that the Russian apparatus sought to call into question the legitimacy and stability of our democracy. On the other side, you’ve got Wikileaks and the Russians. And the incoming administration is going to have to decide which side they’re going to come down on. And it will be among the very interesting things that all of you will be closely watching in the next week. Q I was wondering as you were reflecting over the last eight years whether you can identify the greatest achievement that you felt you were able to accomplish, and also the biggest regret that you have as you’re leaving this part of your life. MR. EARNEST: Well, I think there are two things that come to mind. The first is that, over the course of the eight years that I’ve worked here in the White House, the President’s communication team walked in this building at a time of dramatic change in the media environment, in the news business, thanks largely to advancements in technology, and updating and modernizing and capitalizing on those new opportunities was an important part of President Obama’s success in the White House. I cite this example because I think it’s a good one as you all consider the relationship that you’re going to build with the incoming administration. It’s a good example because some of the things that we’ve heard from the incoming administration has raised some concerns, at least based on what I’ve read publically. Some of the things that we tried to do — capitalizing on new technology, breaking news on Twitter, having the President film videos that we released on Facebook, having the President engage in conversations that were released to the public with people who aren’t journalists but people who have a strong following nonetheless, whether that’s somebody like Marc Maron or any of the YouTube personalities that President Obama has an opportunity to visit with. Bear Grylls would fit in this category — all of that was disconcerting to people in this room and was the source of some friction between our operations. But those changes were beneficial to the American people, and to this President, and to this White House. Because in a changing environment, we need to capitalize on every available opportunity to make sure that the President’s voice and his message is heard, and those were good opportunities to do that. So my hope is that, as you all navigate this new relationship, that you’ll protect the things that are worth protecting — protecting this daily briefing, and the regular exchange that senior officials have at the White House with all of you to answer tough questions, to be held accountable, to respond for calls for greater transparency. It’s uncomfortable to be in a position of authority, certainly a position of responsibility, and to be subjected to those kinds of questions. That’s true even when you’re doing the right thing for the right reasons. But it’s a necessary part of our democracy. And so my hope is that the essence of this relationship between the White House Press Corps and the White House Press Office will be preserved and it will be maintained for future generations to benefit from. But there also was a good reason not just to — there’s also a good reason to not just raise objections because proposed changes depart from the way we’ve been doing things for a long time. The fact that we’ve been doing something the same way for a long time is not, in and of itself, a good reason to keep doing things the same way. So this is going to require a lot of hard work, probably going to require building some trust. But I’m optimistic that the White House Press Corps and the White House Press Office can continue to adapt to the modern environment even as some of the basics and this important principle continues to be protected. And I feel like we’ve navigated that pretty well, and that certainly was an important part of my responsibilities here, both in my first five and half years as the Deputy White House Press Secretary and certainly in the last two-and-a-half as the Press Secretary. And with regard to things that I could have done better, you can probably point to an exchange in every briefing transcript and find a place where I could have said it more cleanly or more effectively or more clearly, so I’m sure there are many of them. The one example that always comes to mind when I’m asked about this is in early September, the first week in September of 2015, we were in the midst of negotiating — or working with Congress to protect the Iran deal. You’ll recall that there was an opportunity for Congress to vote to pass a resolution of disapproval of the agreement, and we were working hard to build a veto-proof minority in Congress to protect the President’s veto of that resolution of disapproval. And quickly, our attention turned to actually building a substantial support in the Senate to allow that agreement to survive a filibuster. And I inadvertently announced Senator Warner’s support for the Iran deal before he has announced it. So our leg staff wasn’t too happy with me. Senator Warner wasn’t too happy with me. But when I called Senator Warner shortly after the briefing to apologize, I explained to him that it was an honest mistake, and I avoided, with one exception, doing briefings after a red-eye flight, which I suspect contributed to that error back in September of 2015. But the one thing that I do feel good about, and the thing that I’m proud of, and this is a lot — a lot of credit goes to some of the people that I mentioned at the beginning — I always felt well-prepared when I was standing up here, and I always felt prepared to tell the truth and to give you as clear a sense as possible the President’s thinking on a particular issue. And in some ways, that’s the most important mandate of the person that’s standing up here. And I’m proud of the way that we fulfilled that. Q Josh, first of all, on behalf of the White House Correspondents Association, we want to thank you for your commitment to regular briefings with us. We haven’t always agreed on everything, and there has always been some tension, which is normal between a White House and the press corps that covers it, but we are grateful to you and your team for working with the Correspondents Association and for your commitment to dealing with us on a daily basis. So, thank you. Q That hat off, I would ask you a question today about Iran. Q The Iranian President said today that President-elect Trump cannot unilaterally cancel the nuclear deal and has said it was meaningless what the President-elect has said about that. Has the Obama administration offered any assurances to the Iranian government about that? And, logistically, is it true, or is it not true, that President-elect Trump could, in fact, nullify the deal? MR. EARNEST: Well, there are not any — you’ve heard the President say this on a number of occasions — there are not any assurances that this administration has made to foreign leaders about what the incoming administration would do. The incoming President will determine what he believes is the best course for the country, and he’ll make that decision accordingly. With regard to the international agreement to prevent Iran from obtaining a nuclear weapon, this is not just an agreement between the United States and Iran. 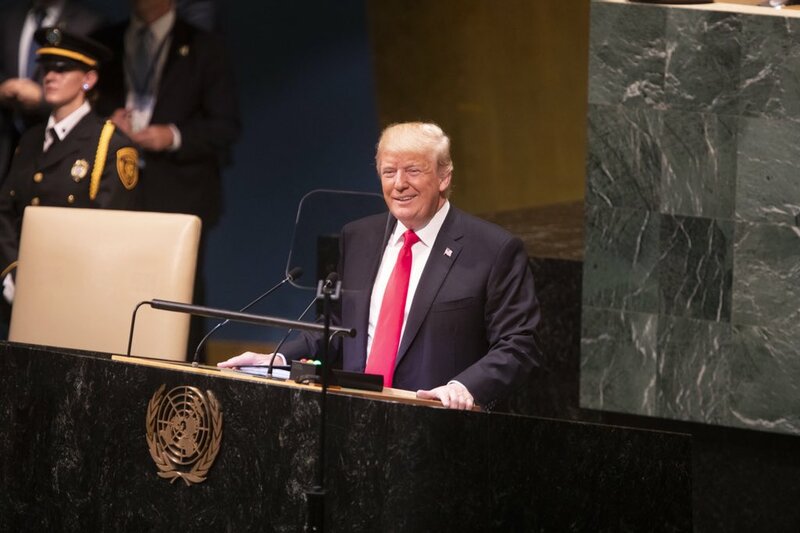 This is an agreement between Iran and some of our closest allies, and some countries with whom we don’t regularly get along on every issue but serve on the United Nations Security Council, and all of those other countries are committed to this agreement because it does prevent Iran from obtaining a nuclear weapon. You’ll recall that this was one of the foremost foreign policy challenges facing this President when he took office. The world was deeply concerned about the rapid progress that Iran was making toward building a nuclear bomb. And that progress was halted and rolled back because of the tough, principled diplomacy that we initiated and implemented over years to reach this point. And, in fact, just yesterday, the General Director of the IAEA, Mr. Amano, issued a statement, and I’m just going to read a couple sentences. “Iran has removed excess centrifuges and infrastructure from the Fordow fuel enrichment plant, in line with its nuclear-related commitments under the Joint Comprehensive Plan of Action.” That’s the international agreement. The JCPOA required Iran, within one year from implementation day, to complete the removal of all excess centrifuges and infrastructure from the Fordow fuel enrichment plant and to transfer them to storage at the Natanz fuel enrichment plant, under continuous Agency monitoring. That’s a remarkable step. You will recall the dramatic moment in September of 2009 when President Obama, with other world leaders, announced to the world this secret nuclear facility that Iran had constructed and was using to advance toward a nuclear weapon. So this is an agreement that’s worked. It’s an agreement that’s going to require conscientious implementation; it’s going to require continued diplomacy. We’re going to need to work with the rest of the international community to make sure that Iran is adhering to the commitments that they’ve made. But after doing that for a year, we’ve gotten proof of concept. This has worked. And as the incoming President considers the best path forward, we’re hopeful, and even optimistic, that he’ll consider the success of the last year as he designs a policy for the years ahead. Q The President has made a slew of appointments this week in his last few days in office to places like the Kennedy Center Honors — the Kennedy Center Board, and others. Why is this happening now? And do you have any ethical concerns about doing this sort of on the way out? MR. EARNEST: I don’t. I think the list of people that the President has put forward for these important positions speaks for themselves. These are outstanding members of the community, some of whom have served this President and this White House, and have done so with extraordinary distinction. And these are new and different ways for them to serve that appeal to their own personal interests. So I think this is — I know this is entirely consistent with what previous Presidents have done. This is entirely consistent with the executive authority that’s vested in the White House. And President Obama is executing that authority consistent with the best interests of the American people. Q Lastly, do you have any reaction to British Prime Minister May’s announcement today that Britain will exit the single market when it leaves the European Union? MR. EARNEST: Jeff, what we’ve been saying from the beginning is that the United States was going to be encouraging both the leaders of the EU and the leaders in the UK to work effectively together to design a relationship among these critically important American allies. And we’ve urged them to engage in that process in a way that is as transparent as possible to prevent any sort of economic disruptions from misunderstandings or from surprises. And both sides have worked to do that. But ultimately, it’s going to be up to them to design a relationship that is supported by their constituents. That certainly is going to make these kinds of conversations more complicated. But this reflects the will of the people as the British people voted in a referendum last summer. And there’s a lot of hard work that their elected representatives need to do to design a relationship with the EU that serves them best. And it’s firmly in the interest of the United States for them to do that effectively, and we certainly have supported them as they’ve done that over the last several months, and I anticipate the incoming administration will do the same. Q Thanks, Josh. Just two for you. Piggybacking on Jeff’s question, one of the posts you guys announced is an ambassadorial nominee to the Republic of Congo. I can’t imagine you think that is going to get confirmed. What’s the rationale behind that? MR. EARNEST: Well, Olivier, I think it’s a couple of things. The first is, you never know. Second is — so you’re saying there’s a chance? (Laughter.) That’s a fun movie. I probably should have spent more time quoting from “Dumb and Dumber.” (Laughter.) I guess that would have been a regret of my two-and-a-half-year tenure here. I think the other thing, in some cases, this is also sending a clear signal to Congress about who are people who are qualified for these jobs. And so this can send a clear signal both in terms of their career trajectory, even if they’re not confirmed for these positions, but that the President has got a lot of confidence in their ability to handle significant responsibilities. And so even if they are not confirmed for the position that they’ve been nominated for, there may be future opportunities in a similar area where they could continue to serve the United States. But we’ve obviously talked a lot about how there are many deserving, worthy, talented Americans who have been put forward by this administration and who have been treated in breathtakingly unfair ways by Republicans in Congress. And that is a source of deep disappointment that we continue to feel even in our last days in office here. Q And the second one — on this President’s watch, North Korea has moved ahead with its missile program and its nuclear program. Does that weigh on the President’s mind? Has he discussed it with the President-elect? MR. EARNEST: I have refrained from getting into the content of the conversations between the two men. What I can say is I know that the President’s National Security Council and his national security team has been engaged with the incoming President’s team on a range of issues, including on North Korea. So I am confident that this challenge is on the radar screen of the incoming President and his team. With regard to President Obama’s work in this area, we have not made as much progress as we would have liked in halting North Korea’s nuclear activities that are in violation of a range of international agreements. What we have succeeded in doing, however, is building a rock-solid international consensus, including with countries like Russia and China, about the need to apply further pressure to North Korea to refrain from those kinds of destabilizing, provocative actions. And that’s an important step and will serve the incoming administration well as they work on this challenge. What President Obama has also done is work closely with the civilian and uniformed leadership at the Department of Defense to ensure that our defense posture in the Asia Pacific is able to protect the American people from this threat. So that has involved the deployment of additional ships with anti-ballistic missile capabilities. It has involved the construction of sensitive and sophisticated radar that can be used in conjunction with those systems to protect the American people. And we’ve worked closely with allies like Japan and South Korea to construct those defenses. So the American people, because of the decisions that have been made by the Commander-in-Chief, are safe from North Korea’s current capabilities. But we continue to be concerned about their actions, and we’re going to need to work effectively with the international community to address that situation. Q This is sort of a history question. When historians look at Presidents, they often cite, well, they did X, Y and Z. But it’s also fair to look at perhaps mistakes, quagmires that Presidents avoided getting into. What did the President sort of avoid, in your judgment, that might have done a lot of harm? MR. EARNEST: Look, well, certainly, as you know, with regard to our efforts to degrade and ultimately destroy ISIL, the President has been mindful of the recent lessons of U.S. military entanglements in the Middle East. And the President does not believe that our interests were advanced by the strategy that was employed by the previous administration, and, in fact, he ran for this job in part on his opposition to some of the strategies that had been put in place before. And the President does believe that the strategy that we’ve put in place against ISIL is working. We’ve made important progress in rolling back more than half the territory that ISIL previously controlled in Iraq. We’ve rolled back a substantial quantity of territory that they previously controlled in Syria. And we did that without a large-scale offensive ground combat operation involving American troops on the ground. What we have done is we have — the President has dispatched a much smaller number of U.S. forces, some of whom are in a very — working in a very dangerous situation, to offer advice and assistance to local forces and regional forces that are fighting for their own region, and fighting for their own country. And that is a strategy that the President believes is much more likely to lead to long-term success. It’s going to build the capacity of these local forces to police their own country and secure their own country. Those forces are, of course, augmented by U.S. forces with a range of capabilities — whether that’s U.S. military pilots who can take strikes on ISIL targets or other extremist targets in that region of the world. There are U.S. forces with remarkable capabilities that can carry out raids against high-value targets and can capitalize on troves of intelligence that they may be able to acquire. And it also involves U.S. trainers who are building up the capacity of those forces — other forces, local forces — and then supporting them, advising them, and assisting them on the battlefield. So that’s the strategy that President Obama has put in place. He believes that has served the country well, both because of how it has been effective in taking the fight to ISIL, and because of the likely long-term success that the President believes that we are on track to enjoy. And all that was done without the kind of large-scale ground combat operation that characterized previous entanglements in the Middle East. Q So the footnotes answer is you avoid a foreign quagmire, is what you’re saying. MR. EARNEST: Yes, I think that’s true — even as we engage in a robust defense of the American people. That’s what has to come first. And, in fact, the President believes that our national security does benefit from a strategy that avoids quagmires, but does apply intense pressure to those extremist organizations that would do us harm. That’s the crux of the strategy, and it’s worked. Q The second question is, if you look at, say, Gallup polling for every President from Truman up to your boss, he is leaving with actually the fourth highest approval of all of them. John F. Kennedy is exempted. Clinton, then Reagan, then Eisenhower with 59 — and then your boss. And he’s ahead of everybody else. How does that — does that strike you as about — how do you react to that? MR. EARNEST: Well, that obviously I think is — I know that President Obama is proud of that and I think it is an indication of — certainly of the success that we’ve had in just the last couple of years. MR. EARNEST: Look, there will be people on both sides who will do their own analysis of the polls. Look, it’s not just the Gallup Poll that indicates the uniquely high standing that’s enjoyed by the President right now. So we’re obviously proud of that. I do think it’s a testament to a lot of work that we’ve done here over the last 12 to 18 months. But it’s also a reflection of the kind of early investments that President Obama made in the first couple of years of his presidency that have taken root and are now flowering — at the risk of torturing that analogy. There are remarkable benefits that — just one example. President Obama, in his first couple of months in office, made a politically unpopular decision to rescue the American auto industry. That was a decision — a policy decision that did not poll well in the state of Michigan, a state that had more to benefit from that rescue than any other state in the country when it comes to their economy. But since the President made that important decision, the manufacturing sector has created 800,000 jobs. And the American auto industry is manufacturing and selling as many cars as they ever have. So that’s I think a good example of how a tough decision that the President made early on was not one that was going to show immediate benefits, butb looking back, eight years later, it was clearly the right decision. And the fact that it wasn’t politically popular at the time, I think only gives people more confidence that the President was making the right decisions for the right reasons. Q Josh, we’ve heard one member of Congress call Donald Trump not a legitimate President. Now the number of Democrats who aren’t attending the inauguration is up over 40, and they’re sort of framing this as a boycott. What do you think of those words and actions? And is this just contributing to the division right now? MR. EARNEST: Well, I don’t think it’s contributing to the division, but I do think it’s a reflection of the division in the country right now. To be clear about the President’s point of view, since the day after the election, some eight hours after the final results were called, President Obama spoke in the Rose Garden and he spoke forcefully, with conviction, about the determination that he and his team would show in trying to facilitate a smooth and effective transition with the incoming team. And we’ve lived up to that promise that the President made on November 9th. And in many ways, I think actions speak louder than words, particularly with regard to the way this administration has worked closely with the incoming administration to ensure — or at least give them the best opportunity at a running start. But all of that was rooted in the institutional responsibilities that the President and his team have to serve the American people, is to make sure that the person that they’ve elected President of the United States has an opportunity to succeed and hit the ground running. And we have been challenged to do that in spite of our in some cases profound concerns with some of the rhetoric and policy positions that are being articulated by the other side. So I think most of this, Michelle, is just a function of the different roles. Members of Congress have a different responsibility. They are freer to express their opinion in a way that they chose. They don’t have the same kind of institutional responsibility that the administration has. And I’m proud of the fact that we’ve fulfilled it. Q You’re saying that the administration would say similar things and do similar things if they could? MR. EARNEST: I wouldn’t speculate on what people around here would say. I think I’m just pointing to what we have done. And that’s a reflection of keeping the President’s promise. Q You’ve spoken a lot about the efforts, like the strong efforts that the administration has put out for this smooth transition. So do you think that these — do you think it’s important what these — some of these Democrats are saying and doing? Do you think it’s important for that to be said at this point? Or do you think that what they’re doing is just sort of harming the smooth transition? MR. EARNEST: Look, I don’t think that what they’re doing is harming the smooth transition, primarily because when we’re talking about a smooth transition, we’re talking about making sure that the incoming administration is aware of what we’ve been doing over the last eight years and of the looming decisions that they’ll have to make when they enter office. We want to make sure that they can benefit from all of the lessons that we’ve learned over the last eight years about building and running an effective team that’s in charge of the federal government. Those are the kinds of things that are critical to a smooth and effective transition, and I don’t think that there’s anything that members of Congress have said that’s going to derail that effort. Q Okay. And there’s been plenty that has been said about certain posts that will possibly be open for a long time, certain structures just not seeming ready at all. I mean, we hear things on our end about concerns within the administration as to the next administration’s readiness. So you’ve had a unique look at that smooth transition that you mentioned. Do you think that there’s readiness there? I mean, do you feel confident that the next administration is ready to pick up the reins? MR. EARNEST: I certainly am not in a position to be able to assess across the board what the level of readiness is of the incoming team. I’ll let them describe what efforts they have taken to ensure that they’re ready to assume this awesome responsibility. And we certainly have tried to be there at every turn as they’re making those decisions to support them and to give them the best possible information so that they can make the best possible decision. But when it comes to assessing where things stand, I’ll leave that to the incoming team. Q And do you feel like this is the last briefing of this kind that we might see for a very long time? MR. EARNEST: I hope not, but I don’t know. I’ll let the incoming team speak to that. Q The President-elect said on Friday that U.S. companies can’t compete because our currency was too strong and that that was “killing us.” I’m wondering if that’s a concern that the White House shares. MR. EARNEST: Well, we have, over the last eight years, abided by the longstanding tradition of allowing the United States Secretary of the Treasury to speak about the value of the dollar. Of course, those policy decisions when it relates to currency are made by the Federal Reserve, so that’s not something I’ve spoken on at great length here. I did happen to see the President-elect’s comments. I believe there is one factual point that is worth referencing, which is that we have seen with regard to China’s currency that it is appreciating in value over the last 18 months. That’s just a fact. With regard to what sort of policy they’ve implemented to do that or what their aim may be, I’d refer you to the Chinese. I wouldn’t speculate on that. But just as a factual matter, the Chinese currency has appreciated over the last year to 18 months. MR. EARNEST: Well, I haven’t seen those specific reports. I think what I can say is that given the intelligence community’s conclusion about the efforts of the Russians to intervene in our democracy, questions about the ties between senior government officials and the Russian government are worthy of careful examination. And that will obviously be the responsibility of Congress, and it may end up being the responsibility of some law enforcement officials if they choose to initiate those kinds of investigations. If they choose to do that, that would be a decision that they would make entirely on their own based on their own discretion and not something that this administration would try to influence even in our last few days here. But there are structures in place where people have the authority that they need to conduct those kinds of investigations. And with regard to Congress, they’ll face a decision about whether or not they choose to exercise that authority. And with regard to law enforcement officials, they’ll have to decide on their own if this is worthy of an inquiry. Q — suggested today that Representative Price might have broken the law on this stock transaction of a medical device — and he later introduced legislation that could have governed. Acknowledging what you said before that the President-elect should have some flexibility to pick his own team, do you find this report to be disqualifying for the President-elect’s choice as head of HHS? MR. EARNEST: Well, I think this report is indicative of a couple of things. The first is, given the incoming administration’s priority that is placed on draining the swamp, I think they have the unique obligation to explain exactly what happened. Because the facts of the report don’t appear to be that complicated — you have a member of Congress buying a stock in a company, and within a week sponsoring legislation that would benefit that company and its stock price, only to see the introduction of that legislation followed shortly thereafter by a political donation from that company to the campaign account of the member of Congress in question. So this doesn’t seem like a complicated scheme. It seems like exactly the kind of financial entanglement that’s left a lot of people feeling alienated from Washington, D.C., that’s left a lot of people questioning the motives of members of Congress. Was he sponsoring that legislation because of his own personal motive — personal financial interest? Was he sponsoring that legislation because he knew it was likely to lead to a political contribution? Or was he sponsoring that bill because he thought it was good policy? It’s hard to know. It’s an open question. So this is why Congress has a responsibility to offer advice and consent for the President’s Cabinet nominations. And I suspect this is going to be an issue that’s going to receive careful scrutiny — hopefully not just on the part of Democrats, but also on the part of Republicans who are interested in making sure that the incoming President’s Cabinet nominees are looking to do the job for the right reasons. Q So are you suggesting he may have broken the law? — I certainly can’t make a statement that definitive. If law enforcement officials choose to investigate the situation, that’s something that they will do based on their own knowledge of the law and based on their own discretion. I think I’m just commenting on the fact that reports do raise a lot of questions. And again, this isn’t some sort of complicated financial scheme. We don’t need to have Michael Lewis explain it to us in a 300-page book. This one seems pretty concerning just based on a couple paragraphs of a news report from CNN. MR. EARNEST: There were more than a few of those. (Laughter.) Thank you for your kind words, Jon. I appreciate it. Q Back to the question Josh asked about Vladimir Putin, putting aside the intelligence community. Putin made a specific allegation, pretty explosive one, coming from another global leader. He’s accusing the Obama administration of trying to delegitimize the incoming Trump administration. What’s your response to Vladimir Putin? MR. EARNEST: Well, I don’t know. But it certainly sounds a lot like what the incoming administration’s team is saying. But it is not the first time that the Russian President has called into question the veracity of the United States government. Right? This is a Russian government that recently said that they were focused entirely on ISIL inside of Syria, and raising questions about what the United States and our allies were doing to fight those extremists. That wasn’t true. In fact, what we know is that the one place that Russia can point to where they’ve made progress against ISIL is in Palmyra; ISIL has since taken it back and is now using some of the equipment that the Syrian regime, with the support of the Russians, moved to Palmyra. And that’s going to put the United States and our coalition partners who are going after ISIL at even greater risk. So it’s not the first time that the President of Russia has said things about the U.S. government that just don’t withstand any scrutiny. Q So it’s not true? MR. EARNEST: Of course, it’s not true. And the suggestion — the reason that I answered Josh’s question the way that I did was that the suggestion all along — and this is a suggestion that was repeated just yesterday by the President-elect — was raising doubts about the integrity and intentions of the men and women of the intelligence community. And that is deeply misguided, as I’ve said before. And particularly to call into question the integrity of somebody like John Brennan, somebody who has served at the CIA for three decades, somebody who served this country in dangerous locations around the world to try to keep us safe — I’m offended by it. Q Josh, on the question of the next administration and its communication strategy, looking back, was there ever any consideration by anybody in this White House of shutting this briefing room down, of taking reporters and moving them out of the West Wing? MR. EARNEST: No, there was not. Q What would it say, symbolically and practically — what message would it send to the country if this briefing room, if this workspace were shut down and reporters were banished to another part of the White House grounds? MR. EARNEST: I lead this in my long comments at the beginning about how the United States has a rather unique arrangement between our government and the independent media. The fact that all of you represent independent news organizations and have regular access to the White House, have regular access to workspace where you can do your job, have a venue where you can enter the room — the Briefing Room — at almost any hour, and can hold people in power accountable is really important. You also have access to senior White House officials right through that door. Right up the ramp outside that door, you can come into my office at a moment’s notice to ask question and demand answers and demand transparency. And as I mentioned earlier, sometimes that’s a little inconvenient; sometimes it’s uncomfortable; sometimes it’s frustrating because you’re dissatisfied with the answer that was given, but it’s necessary for the success of our democracy. And I think there are some people who might say, Jon, that, well, this is — it’s just symbolic that you have the White House Press Corps in the White House. And I would say it’s a really important symbol. It’s more than just symbolism. But even taking that argument at face value, there is something symbolically important about all of you gathering here every single day to hold people in power accountable, to demand answers, to demand transparency, to demand facts. And your ability to do that is going to be affected if you don’t have regular access to the White House, if you’re not able to do your job from the White House, and if there’s not a natural, readily available venue for you to hold senior officials accountable. So this is, again, a relationship that President Obama believed was important to invest in. He made this a priority, and it doesn’t mean because he liked all your coverage. MR. EARNEST: He probably could have. And again, I think this is exactly a good illustration — you should be asking for more, and you should say that we appreciate President Obama’s investment, but there is more that he could have done. That’s the nature of this relationship. And it means that you’re doing your job, but it also means the President of the United States is doing his job. And I don’t know if the incoming administration is going to see it that way, but I hope they do. Q Josh, one of your, I guess, mentees — mentors, Mike McCurry said the press had a friendly, adversarial relationship with the White House. And with that, understanding your very interesting position between the press and the President, have you taken any kind of advocacy role positives about what you just said to Sean Spicer, the incoming press secretary, or has anyone in this administration talked to the incoming administration about exactly what you just said? MR. EARNEST: What I can tell you is, as you know, my colleague, Jen Psaki and I had an opportunity to visit with Mr. Spicer in what will soon be his new office a couple of weeks ago. And we had a nice conversation. And we talked about everything from the rather peculiar logistics of getting things done around the White House, but also the work to prepare for the briefing and to ensure that government agencies are coordinated in their messaging efforts with the White House. It was a good conversation. But one of the pieces of advice that I had for him was to engage with the White House Correspondents Association. I remember vividly when we started here. I was the deputy press secretary during President Obama’s earliest days in office. And we worked very closely at the time with Jennifer Loven, who was an AP correspondent and then was president of the White House’s Correspondents Association. And she did an excellent job of helping to educate us about what your expectations were and she helped us avoid inadvertent conflicts. There are certainly situations where we might be tempted to do something that we didn’t think was that big of a deal that you all would view with deep suspicion as an effort to make your job harder. And so what I encouraged Sean to do is to engage with the gentlemen that all of you have elected to represent you as the President of the White House Correspondents Association. So Jeff is somebody who knows this place well, and Jeff is somebody who can be an honest broker. And so he’s got a — Jeff and I actually had this conversation before the election about how valuable our relationship with Jennifer Loven was in 2009, and how his relationship with the incoming administration — whether it was the Clinton administration or the Trump administration — was going to be critically important. And, look, Jeff knows his stuff and he’s got exactly the right temperament for managing these kinds of things. And I do think that if Jeff, as your elected representative, and Sean, as the person designated as the top spokesperson in the government by the President-elect, can work effectively together, that I think a lot of the concerns that have been expressed in the last couple of weeks can certainly be managed. And it doesn’t mean that everything he does is going to be satisfying to you; it shouldn’t be that way. But I am optimistic that because of Sean’s genuine desire to represent his boss well and Jeff’s leadership in representing all of your interests, that these difficult things can get worked out. Q Did you specifically say we should stay in this building, stay here? MR. EARNEST: I’m not going to get into a detailed readout of our conversation. So I’m going to defer to him and let him announce what they choose to do. Q I have a couple of other questions really fast. Being here all these years and being with the President since Iowa, meeting him since Iowa, what is the biggest takeaway as people are trying to rewrite his history now and trying to look at his legacy when you’re supposed to look, like, 10 years out? What’s the biggest takeaway that we should know about this administration, and particularly this President? MR. EARNEST: I alluded to this at the top, too. In 2007, when I first heard President Obama speak as a candidate for President of the United States, I actually wasn’t working for him. I moved to Iowa in December of 2006 to work on Tom Vilsack’s presidential campaign. And so I joined President Obama’s team, then-Senator Obama’s team, only a month or so after Governor Vilsack dropped out of the race. And the reason that I was drawn to Senator Obama’s campaign was simply that he was giving voice to a vision of the country that deeply resonated with me. He was articulating a vision for America that was inclusive, where everybody got a fair shot and a fair shake, and where we tried to transcend a politics that seemed too small, that it was not well-equipped to take on the difficult challenges that our country faced. And he was willing to articulate that vision and those set of values, and defend them forcefully. There was a sense among many Democrats, particularly throughout much of the Bush administration, that Democrats were a little on the back foot in trying to make our argument. And to see this young and young-looking man, a newcomer on the scene, step up to the stage and almost defiantly articulate a vision of the country where everybody has got a shot, regardless of what you look like or where you come from, that there’s a whole lot more that unites us than drives us apart in this country because of our commitment to some of the basic founding principles of our country — that resonated with me. And so to answer your question, my takeaway is that for all that we’ve been through, for all that we’ve seen over the last decade, President Obama is as optimistic about the country and as committed to that vision as he has ever been. And he is as resolute in advocating for and defending those values as he’s ever been. And I find that genuinely inspiring, at the risk of laying it on a little thick. I genuinely do. On those days when I thought it was — when I was tired, knowing that I was going to have to get up early in the morning and prepare to come and speak to all of you, I drew a lot of inspiration from knowing what a unique opportunity it was for me to have the opportunity to stand up here and to give voice to those values that I deeply believe in, and to know that my boss would support me in making that argument forcefully, without reservation, with deep conviction. It’s been an honor to do that. But mostly I admire and respect the President’s fidelity to those values even through all the twists and turns of the last 10 years. Q And lastly, you talk about laying it on thick. I guess I want to say thank you for making sure that issues that were not necessarily the mainstream issues — urban America, LGBT community, all sorts of communities out there that were not necessarily at the top of the fold or on the A block of the news — for making sure we have answers for that. How important is that for this White House to make sure those issues were addressed as well as the overarching issues of the day from the first two rows? MR. EARNEST: Well, this is actually a principle that the incoming administration has given some voice to — that I know that Mr. Spicer has indicated a desire to be as inclusive as possible and to give as many different kinds of journalists and outlets and commentators the opportunity to participate in this session. I think that’s a really good thing. That’s exactly what we have done. There’s never been a time that we’ve turned anybody away from participating in this briefing. People who show up here on a regular basis with their hand in the air, regardless of which row they sit in — they get called on. Not every day — (laughter.) In part because it’s not unusual for me to get complaints about the length of the briefing. But it’s fair to say that people who show up here regularly get called on regularly. That’s a good thing. And if that’s something that Mr. Spicer is committed to, and he wants to bring even more people into that process, people from the left and the right, we’ve certainly succeeded in doing that, and I hope he does, too. Q Thank you. A couple questions about Friday. So I know a few of the — several — three former Presidents are going to be in town, and Secretary Clinton, obviously. Is there any opportunity for the President to visit with the former Presidents there or at the Capitol or at the White House, or does that not happen? MR. EARNEST: I’m not aware of any sort of formal get-together that the President will have with the former Presidents. I wouldn’t be surprised if there is an opportunity when they’re at the Capitol for the President to see them, but it would just be pretty informal. And we’ll do our best to keep you posted about how that shakes out. MR. EARNEST: Yes. The vast majority of the White House staff will have their last day here at the White House on Thursday. There is a small number of people that will continue to work through noon on Friday for the actual transition. But it’s a pretty remarkable exercise that we’re undergoing here at the White House, and I give a lot of credit to my colleagues at the GSA and other people who are responsible for ensuring that I have an opportunity to work from my desk until 4 or 5 o’clock at night in the evening on Thursday, and they’re going to have that office up and running and prepared for Sean to sit down behind that desk at noon the next day. So that’s no small undertaking, but it certainly requires that many of us get out of the way on Thursday afternoon so they can do their important work. Q You mentioned the President was going to California after the inauguration — or the family is going. When they return — so they fly aboard the presidential aircraft, which we don’t call Air Force One then. Does it wait for them, or are they on their own after that — they can take commercial back? Q Do you know how long they’re going to be there? MR. EARNEST: I don’t have any details about their time in Palm Springs and I don’t anticipate that that will be released. Q Josh, you said you didn’t think that boycotting the inauguration was really going to harm the peaceful transition, but is the President actively discouraging Democrats from boycotting, or would he discourage Democrats from boycotting the inauguration? MR. EARNEST: I’m not aware that he has had a conversation discouraging people from participating in the inauguration. And I’m not sure what he would say if he was asked if he would encourage people to do that. Maybe you’ll get a chance to ask him that tomorrow. Q On two things actually, related to Russia. Ambassador Power gave a speech today talking about U.S.-Russia. She repeatedly used the phrase, “a willingness to lie” on behalf of Russia and that it’s actually a strategic deny-and-lie strategy they have. Does President Obama feel that Vladimir Putin consistently lied to him? I mean, is that how the President would characterize his relationship? MR. EARNEST: I think what Ambassador Power is making reference to are the public pronouncements that we’ve seen from the Russian government that routinely fly in the face of the facts on the ground. I laid out the example to John with the situation in Syrian. The example of Russian activity in Ukraine also applies. Russia has steadfastly denied the presence of Russians in Ukraine who are actively working with separatists to try to undermine the central government in Ukraine. So this is a tactic that we have seen form the Russians with regard to their public communications. When the President has discussed his personal communications with Vladimir Putin, the President has indicated that President Putin is pretty blunt and businesslike. And I think there’s only one time that I participated in one of those meetings and that was my observation as well. Q You agree he was blunt? MR. EARNEST: I would. I would. Q But you would not say that he feels that in those conversations Putin has ever lied? MR. EARNEST: Well, again, I don’t think I can account for all of the conversations between President Obama and President Putin. I would just say that President Obama has often said that public perception about his behind-the-scenes interactions with President Putin aren’t usually correct, that they do have pretty businesslike interactions and President Putin is pretty blunt in those conversations. And what Ambassador Power was obviously referring were some of the public communications that we’ve seen from the Russians to say things about their activities that just aren’t true. Q There have been reports last week about the Israelis, this week about British intelligence, suggesting that their conversations with the CIA asking for reassurance that known assets in Russia would not be shared by the incoming administration with Moscow. In other words, asking the U.S. to keep its secrets secret. Is that something that the White House has been aware of? Are those reports in any way accurate? And is that kind of request appropriate? MR. EARNEST: I can’t speak to any of the conversations that our intelligence community has had with some of our closest allies. I’ll let them describe those conversations. The United States has worked hard to deepen our cooperation with the United Kingdom and the rest of our NATO allies for that matter, certainly as it relates to intelligence gathering. Our ability to collect that intelligence and share it widely among our partners does make our alliance stronger. And it makes our collective defense more effective. But I can’t speak to any specific instructions or requests that the British intelligence services may have made to American intelligence services. Q And lastly, you said you wouldn’t characterize the readiness of the incoming administration. Secretary Kerry did publicly suggest that he was — the contact had been minimal with at least the incoming Secretary of State, should he be confirmed. Would you say that the incoming administration has taken up the Obama administration in all of its offering to fully brief and fully read in the nominees? MR. EARNEST: Well, Margaret, I think the thing that was evident to all of you in the earliest days of the transition is that the Trump administration had a pretty steep hill to climb with regard to their learning curve. Is some of that related to the fact that they weren’t anticipating winning the election? Probably. But I think what we have seen over that time is conscientious, painstaking work on the part of the incoming administration to try to get up to speed. And there has been substantial improvement in those efforts since the days immediately following the election. I obviously can’t speak to all of the conversations across the federal government. But it’s certainly fair for you to conclude that the capacity and capability of the incoming team has improved markedly since the first days after the election. Q Thanks, Josh, for the final time. I wanted to ask you about a report in The Washington Post yesterday that said the President plans to make several hundred commutations before his final day. Can you confirm that’s the plan? MR. EARNEST: I saw that report. I don’t have any news to announce from here with regard to any commutations. But if there are any clemency requests that are granted, we’ll make sure you’re among the first to hear about them. Q Yet last week you made an interesting argument about the differences between Edward Snowden and Chelsea Manning. Can you at this point rule out that the President will give a pardon to Edward Snowden? MR. EARNEST: I can’t rule anything in or out. I think the one thing that the Department of Justice has said — I’m looking at Brandi, and she’s giving me the poker face. (Laughter.) I believe what the Department of Justice has said is that — there you go. What they have said and what Brandi has told me is that — (laughter) — Mr. Snowden has not filed paperwork to seek clemency from the administration. But I don’t have any specific comments about whether or not that would impact any sort of presidential-level decision. Q Thanks, Josh. On the note of pardons, the administration has been very proud of its ethical record. And as we’ve seen in the past, some of these last-minute pardons can kind of trip some people up. And so will — the clemency initiative, there’s sort of a structure for those. But with the pardons, will the President issue all his pardons at a point where we’re still able to ask for an explanation about them? MR. EARNEST: Well, what I would say is simply that we’re aware of the history that you’ve alluded to. The President has been judicious about using this authority in a way that he believes is consistent with American interests and the pursuit of justice. And if we feel it is ever necessary for us to make that case, we’ll want to make sure that we have ample opportunity to make it. I think I’ll leave it there. Q And can you just offer any more details about the President’s last day, his last hours in office? Will he still get the presidential daily briefing? Can you tell us who specifically is actually going to be showing up here on the 20th? MR. EARNEST: You mean in terms of staff? MR. EARNEST: I don’t have that in front of me, but we will provide you with some contact information for the morning of the 20th should you need it. Q I’m just mean in terms of what he’s doing. Like is Chief of Staff McDonough going to be here? NSC Advisor? MR. EARNEST: We’ll work to see if we can compile some of those details. I don’t have a lot of detailed information about that right now, but we’ll see if can get you something in advance of Friday. Q Thanks, Josh. And despite our differences, thank you for being fair. MR. EARNEST: Thank you, Kevin. I appreciate that. Q And your staff is great, too, as well. MR. EARNEST: I appreciate it. Q Regardless of the clemency issue, is it fair to say that the process is still ongoing at this stage? The review, is that still happening even today? MR. EARNEST: Yes, this is a process that largely lives at the Department of Justice, and they’ve been very focused on this important work. They’re working closely with the President’s attorneys here in the White House. And, yes, it is fair to say that that work continues. Q I want to ask specifically about Chelsea Manning and Edward Snowden, in particular. As it relates to Chelsea Manning, does the White House agree that Manning is being subjected to unfair treatment by the Army amid her daily fight to have her right to be identified as a woman? Does the White House agree with that? MR. EARNEST: Well, I’m not aware that the Commander-in-Chief has weighed in on this. This is obviously complicated by the fact that Chelsea Manning is in the military criminal justice process and, of course, the Commander-in-Chief is at the top of the chain of command, which limits our ability to discuss her case in all that much detail. But I’ll look and see if we have ever weighed on this specific question. I know that it certainly is a question and a concern that’s been raised by some of Chelsea Manning’s advocates. Q And for the record, she was sentenced to 35 years. Does the White House believe that that was a just sentence? MR. EARNEST: I haven’t heard the President weigh in on that either, again for the same kind of chain-of-command reasons that I just cited. Q But he may tomorrow? Q Fair enough. Jordan, I got first dibs. (Laughter.) Let me ask you about Edward Snowden. Does his offer to turn himself in if Manning is, in fact, offered clemency weigh at all in the consideration for how the President might consider a pardon for Manning, or even for Snowden, do you think? MR. EARNEST: It does not, primarily because we believe that under any circumstances, Mr. Snowden should return to the United States and face the serious crimes with which he’s been charged. He will, of course, be afforded the kind of due process that’s available to every American citizen who’s going through the criminal justice process. But the crimes that he’s accused of committing are serious, and we believe that he should return to the United States and face them rather than seeking refuge in the arms of an adversary of the United States that has their own strategic interests in disseminating harmful — or disseminating information in a harmful way. Q So for clarity’s sake, it seems apparent that there’s little doubt that Edward Snowden will not be offered a pardon by this President. MR. EARNEST: Well, it’s not something that — I can’t rule out any offer of clemency, or rule it in, frankly, from here. Q Based on what you just said, though — I mean, the President has been pretty clear, he hasn’t availed himself to even a conversation about prosecution or facing the charges that he may in fact be forced to face were he even here. So based on that, it seems clear he’s not going to get a pardon, right? MR. EARNEST: Well, you’ve heard me note that that is one of the many differences between Mr. Snowden’s case and Chelsea Manning’s case. But I can’t rule anything in or out at this point. Q Last one. I want to ask you about Julian Assange. Did the White House ask Britain or even Ecuador, perhaps, to take action against Julian Assange and/or shut down WikiLeaks at any point? Did that come from this White House? MR. EARNEST: I’m not aware of any specific request like that that was made. You know that the U.S. intelligence community, and even the President, have expressed some deep concerns about the ties between Russian intelligence and WikiLeaks and other organizations like it that were created to disseminate either classified information or previously private information. And we know that much of those efforts to disseminate that information was rooted in a Republican — Russian strategy to undermine confidence in American democracy. So we have profound concerns about the way that that organization, WikiLeaks, has operated, and we have expressed profound concerns about the way that some of the things that they have done and some of the information that they have released has harmed our national security, has put our military and our intelligence officers in harm’s way and made their dangerous work even more dangerous. But I can’t speak to any specific requests that may have been made of the Brits or the Ecuadoreans. Q Just to follow up on this — the appointments of Valerie Jarrett, Susan Rice and others to these boards. Are these appointments that cannot be reversed by the President — the incoming President? And were they made for that reason or with that in mind? MR. EARNEST: They weren’t made with that in mind. I believe that these are the — that the appointments on these kinds of boards are part of the President’s executive authority and part of his responsibility. And he chose to fill a couple of those positions with two of his most trusted aides. MR. EARNEST: There are terms, but we can get you the details. Q There’s also — there’s an education regulation that’s making its way — I believe it’s before the White House Budget Office. You’re looking at me like you don’t know what I’m talking about. MR. EARNEST: I don’t think I do. Q It’s a regulation that would essentially change the funding mechanism within school districts and apportion more money to lower-income areas as compared to higher-income areas. The question is where is that, is it going to make it, so on and so forth. MR. EARNEST: Let me have my colleagues at the Office of Management and Budget circle back with you to give you an update on where that stands. MR. EARNEST: Other than saying really nice things about me — (laughter) — which I deeply appreciate, by the way?. Q It’s a — I mean, I know he’s concerned about national security, I know he’s concerned about the transition. But just — I just wonder, what do you do when you have, like, a few days left after all this? MR. EARNEST: There’s a lot to be done. Let me tell you at least one thing. This morning, the President assembled senior members of his counterterrorism and homeland security team to review ongoing security planning for the 58th inauguration. The President commended the comprehensive preparations across the law enforcement and intelligence community, and directed that all agencies maintain their high state of vigilance to ensure we are best postured to protect the homeland against individuals radicalized to violence. The President was also briefed on counterterrorism operations in Iraq and Syria that are putting simultaneous pressure on ISIL inside Mosul and around Raqqa. Over the weekend, as you may know, Iraqi security forces made significant gains in Mosul as ISIL defenses are collapsing in key parts of the city. And in northern Syria, local partners continue to constrict ISIL’s movement in the vicinity of Raqqa. The President noted the impact our strategy is having on the ground is the result of a deliberate effort to accelerate our campaign against ISIL, and that the coalition is well-postured to put ISIL on a path to lasting defeat. I think the fact that the President held this meeting today is an indication that the President continues to be focused first and foremost on the safety and security of the United States and the American people. And this is consistent with the kind of briefing that he has held with his national security team and with intelligence officials before major events. The President typically does this before the holidays; he’ll often do this before the Fourth of July. And obviously, with the upcoming inauguration, we want to make sure — the President wanted to make sure that our security posture was in place to protect the American people. Q That’s a Situation Room meeting? MR. EARNEST: I don’t know exactly where this meeting took place, but we can confirm that for you. Q Anything else? Is he — we’ve talked about pardons and commutations, and talked about appointments. Is there anything else that we can expect over the next number of hours that are work product, if you will, that the President is trying to get done before he leaves? Even if you can identify some areas. We know he’s concerned about immigration. We know he’s concerned about social justice. We know he’s concerned about a lot of things. Q Can you point us to anything that he is, in the final hours, really trying to focus on and get done? MR. EARNEST: Well, I don’t have any announcements to preview, but the President has still got a lot of work to do. And even in just the last couple of days here, he’s focused on the task at hand, even as he also does some of the other things around the White House, like bidding a fond farewell to members of his staff and other people from across the administration, and also I think spending some time thinking about his own time and his own tenure here. But stay tuned. If there’s more, we’ll let you know. Q Thank you. I guess I’ll follow on that note. Can you give us an update on the President’s efforts to close Guantanamo? And are you prepared at this time to just — say it will remain open Friday afternoon? MR. EARNEST: Well, what I can confirm — and I think this is something that you’ve already reported — that there was a transfer of 10 detainees from the detention facility at Guantanamo Bay to the government of Oman. With that transfer being completed, there are now 45 detainees at Gitmo. When President Obama took office, the detainee population was at 242, so since that time, we’ve moved 193 detainees to 42 countries for repatriation, resettlement, or prosecution. Obviously, that work was a result of the review that President Obama ordered almost exactly eight years ago today to ask the intelligence community and other national security agencies to engage in a case-by-case review of the files of the detainees, and determine if any of them could be transferred to other countries under a set of strict security requirements that would limit their ability to harm the United States. And so that’s been an effort that has greatly reduced the prison population. At this point, I don’t anticipate that we will succeed in that goal of closing the prison, but it’s not for a lack of trying — that, I assure you. And the only reason it didn’t happen is because of the politics that members of Congress in both parties, frankly, played with this issue. And it has put the United States in a position where, because of the obstacles erected by Congress, terrorist organizations have a powerful recruiting tool, and millions in taxpayer dollars are wasted to operate this large facility for 45 people, potentially less. That’s not a good use of taxpayer dollars, and it certainly isn’t the most effective way to protect our country. And that’s not just a conclusion that President Obama has reached, that’s a conclusion that’s been reached by people like President Bush and senior members of his national security team. So this isn’t a partisan issue, and I think the disappointment at Congress’s action in this area is also bipartisan in nature. Q Two follow-ups on that. At what point did the President make that determination, that he would not succeed? And do you expect any additional transfers this week? MR. EARNEST: The possibility of additional transfers remains a possibility. Look, I think once there was a — once we’d reach the 30-day deadline for notifying Congress in advance of detainee transfers, the likelihood of succeeding in closing the prison was quite remote. Q One other quick question. Chinese President Xi today delivered a speech in Davos where he gave a defense of globalization and warned against a trade war and protectionism, and this is obviously something the President has spoken a lot about, and I’m curious if you have any reaction to the Chinese President’s speech. MR. EARNEST: I didn’t read the text of President Xi’s remarks, but certainly based on the news coverage, I think this does surface a central question — for the American people, for policymakers, for economic leaders, and even national security leaders — about what role the United States is going to play in the global economy and what role the United States is going to play in Asia Pacific. And President Obama put forward his own strategy, one that sought to deepen our alliances with Australia, South Korea, and Japan that has resulted in a beefed-up military presence in the Asia Pacific, to protect our allies, to deepen our coordination and cooperation with them, and to ensure they’re protected from threats that emanate in the region. The President also felt strongly that that intensified security cooperation should be partnered with greater economic integration in that region of the world. Southeast Asia in particular is home to some of the most dynamic economies in the world. These are smaller countries, but they have rapidly growing middle-class populations, and many of the countries who signed the Trans-Pacific Partnership agreement are home to those economies. And the completion of that agreement and the ratification of that agreement by Congress would have given American businesses a better opportunity to compete in that part of the world. That would have been good for our economy and good for our businesses and, most importantly, good for our workers. The agreement would have required other countries to slash 18,000 taxes that they impose on American products. It would have held those countries accountable for raising labor standards, raising human rights standards, raising environmental standards, the kinds of standards that we already observe here. And to shut off the U.S. from those kinds of agreements isn’t just a missed opportunity, it actually puts the United States at a greater disadvantage because we’re hearing many of those countries indicate a desire to move forward with that agreement. So that means that other countries who have signed on are going to be at an advantage over U.S. products, to say nothing of the role of the Chinese. China would love to come and strike their own agreements with these other countries for the same reasons that we would like to — because these are some of the fastest-growing economies of the world and they have a rapidly growing middle class that could be available to buy Chinese products. And we know that if the Chinese negotiate a deal, they’re not looking to raise human rights standards; they’re not looking to raise labor standards; they’re not looking to put in place strict, tough intellectual property protections. So the President is deeply disappointed that Congress hasn’t moved to ratify the Trans-Pacific Partnership because of the obvious benefits for the American people. And that’s going to have consequences not just for our economy and the success that our country has in confronting the forces of globalization and looking out for the interests of working people, it’s also going to have an impact on our national security. So obviously the incoming administration has proposed a different strategy when it comes to countering the forces of globalization. I believe the President’s economic record speaks for itself. And all of you will have an opportunity to test just how — well, whether or not the strategy put forward by the incoming administration works and actually serves the interests of the American people, the American economy, and American workers. Q My count is higher. MR. EARNEST: Is it higher? MR. EARNEST: Well, the stenographers separated out the times that I briefed as the Principal Deputy Press Secretary, so that may account for the difference, but we can look at the numbers. Q I also counted gaggles. MR. EARNEST: They did, too. I did almost the same number as both the Press Secretary and as the Deputy. MR. EARNEST: That’s understandable. That’s understandable. In the 354 or so times that I walked into this room, I never took for granted the blessing that was the opportunity to stand here. And most people don’t have an opportunity to influence the debate in this way. The arguments that you hear me make, these are President Obama’s arguments. This is his vision for the country that I’m advocating for. So I’m not trying to take credit for that. But these are arguments, and this is a vision for the country, and these are values that I passionately believe in. And having the opportunity to influence the way that those arguments are made, to look for ways to deliver them in the most persuasive way that I can think of is an extraordinary intellectual challenge, but it also really gives me an opportunity to shape the debate in a way that few other people in this town have. So there were days when I knew I was going to come out here and get some tough questions, and there were days when I was going to walk back to my office frustrated about how it went, but I never took for granted what an extraordinary opportunity it is to be a part of this process with you and to advocate for a President and a vision that I deeply believe in. And I’m going to miss it. It’ll be — at the risk of oversharing, it’ll be hard to — well, let me say it this way — (laughter) — it’ll take some getting used to, to seeing somebody else stand up here doing it. Q Are you going to watch? MR. EARNEST: I’ll probably watch. I’m interested in what happens in here, and I think it’s important for the country. And I’ll be paying attention. Q Marlin Fitzwater used to say that after he left that job, he used to love putting his feet up, pouring a glass of wine, and watching someone else face all the questions. (Laughter.) Is that how you think you’ll be watching your successor? MR. EARNEST: There may be a time or two when schadenfreude creeps in. But look — again, I’ve got enormous respect for the work that all of you do and for the conventions that we have erected to engage in this discussion, and it’s been an honor to be a part of it. And yeah, I’m interested in what happens here, and I’ll continue to follow it. But I will be relieved to not have the burden to follow it as closely as this job has required over the last two-and-a-half years. Q It’s sort of a personal question and it follows up, I hope, on what Mark was saying. The President alluded earlier that you could possibly have a career on the silver screen. (Laughter.) Many of us — I believe that. Keep smiling — that’s it. Perfect. And we know that you’re not going to require your very patient wife, Natalie, and your son, Walker, to pepper you with tough questions every day between 1:00 and 3:00 in the afternoon. But to follow up, where is your passion going? What would you like to do? And where do you want to follow your dream? MR. EARNEST: Well, I’ll tell you that I’ve had this conversation with the President. And one of the challenges of the job is it is all-consuming. It’s difficult to remember a day in which the first thing that pops into my head when I open my eyes in the morning — usually in the dark — was to wonder what I needed to get done in order to prepare for this briefing, or to fulfill my responsibilities at the White House. So I’m looking forward to having a little bit more time and space, both physically and intellectually, to reflect on this experience and to consider what the future might hold. But I honestly don’t know. Q Will you keep us posted? MR. EARNEST: Yeah, I’ll keep you posted. Q Yes, just to clarify two quick things. Q The clemency petitions that have come in, you led us to believe last week that there would be a round, some size, of additional clemencies before the President leaves? Q That is still the case, correct? Whatever size they are. MR. EARNEST: What I can tell you is that the work on this issue continues, and I certainly wouldn’t rule out additional announcements before noon on Friday. Q The President considers this still an important part of his legacy. Q And the President’s plans on Friday — I know you don’t want to go into detail about it — but we’re right in calling this a vacation, correct? He’s not planning to go out and do speeches right away and meetings and stuff like that. MR. EARNEST: That is correct. The President will not be working when he arrives in Palm Springs. Q Perhaps a fair amount of putting and other things? Q Is the First Family going to be staying in rental housing? MR. EARNEST: I don’t know where they’re going to be staying in Palm Springs, and I doubt we’ll announce it in advance. Q And you’re leaving your office on Thursday afternoon or evening, but will you and your team will have control of the emails and Twitter and WhiteHouse.gov up until noontime? MR. EARNEST: Yes, there is a plan in place to effect that transition at noon on Friday. I’m not sure exactly how they’re going to do that. But it’s part of — it’s one of the reasons I have so much admiration for my colleagues who are more technologically inclined than I am. Q Thanks, a lot, Josh. Congratulations on your 354th briefing, or whatever that number is. Q Given all of your experience in this briefing room, can you talk a little bit from your perspective about the advantages of coming out to the James S. Brady Briefing Room to talk to us on a regular basis? MR. EARNEST: This is a place that’s recognized immediately around the world as the place where announcements at the White House are made. And again, the symbolic value of this podium in this room in front of all of you is powerful. And it sends a strong message not just to the American people, but to people around the world about what the White House is doing, what the President is focused on, what his priorities are, and how he’s seeking to advance our interests. So again, I think that there are a lot of common-sense logistical reasons to preserve the kind of access that all of you have to the West Wing. But I wouldn’t overlook the important, symbolic value that makes the arrangement that we have in the United States rather unique. Q As far as statements, which are regularly put out by your office, I didn’t notice a statement in regards to the death of Gene Cernan, the last man to walk on the moon. Was that an oversight? Can you talk a little bit about his contribution to our country? MR. EARNEST: Well, I obviously read some of the news coverage about Mr. Cernan’s death. And he certainly falls in the category of American hero, somebody who risked his life in the earliest days of the American space program to do remarkable things and inspire the American people to reach for great heights — reach for great heights. And obviously, our thoughts and prayers are with his family today and those how loved him. I can’t speak to why there wasn’t a presidential statement. But certainly the President and First Lady made note of his death and are remembering him along with some of the other Americans who were inspired by his courage. Q Thank you, Josh. On behalf of the foreign press, I also want to thank you. You’ve been helpful but very welcoming. And all of us, we benefited from your openness so much. MR. EARNEST: Thank you, Richard. Q You have to know that all this has been very much appreciated. Q Knowing that there are also many auto plants in Canada, I would like your reaction to the President-elect’s comment or intention on imposing a 35 percent tax on German cars being built in Mexico and sold in the U.S.
MR. EARNEST: Richard, I think this is a pertinent question. The President, on his last trip to Canada over the summer, talked about this very issue. The U.S. auto industry is part of an integrated global supply chain. And the presence of a lot of those suppliers for U.S. automakers is actually in Canada, and it speaks to the important ties between our two countries. And maintaining those robust ties is good for the economy in both our countries; that if you shut down the supply chain or you shut down the trade between the United States and Canada, you’re going to cut off the American auto industry from the global supply chain in a way that’s going to have direct and negative consequences for American businesses and American workers. That’s a real problem. And I think it is an illustration of why President Obama has chosen a different strategy that actually seeks to ensure that other countries, including Canada, are living up to the kinds of high standards that are set here in the United States and were codified in the Trans-Pacific Partnership. Canada, of course, was part of those negotiations and signed onto the deal. So the President has spoken out about this at some length. He certainly does believe that the strategy that he has advocated is the right one, but the incoming President has some different ideas in mind. And we’ll have an opportunity to assess whether or not his strategy is going to work. Q Thank you, Josh. You have worked hard as White House press secretary. I deeply appreciate you. MR. EARNEST: Thank you, Jean, I appreciate that. That’s very kind. Q Can I follow — ask a question. After you — whatever — you go out the White House, can I also ask on those issues? MR. EARNEST: I’m sorry, say one more time? MR. EARNEST: Well, there will be somebody else in the White House who will be setting policy with regard to the United States’ relationship with North Korea. And I am hopeful there will be somebody else who is here answering your questions, but I certainly have enjoyed the opportunity that you and I have had to discuss this critically important national security priority of the United States. Q Thank you very much. On THAAD missile issues. Last week, incoming administration (inaudible) and South Korean national security agency director agreed to deploy THAAD missile in South Korea. On this regard, China continues to threaten retaliation against South Korea for THAAD issues. What can the United States do about Chinese actions? MR. EARNEST: Well, the United States has made clear that the deployment of a THAAD battery to South Korea would be focused solely on countering the missile threat that emanates from North Korea. South Korea is an ally of the United States of America. We are duty-bound to defend them. And President Obama has made clear, and I think the tens of thousands of U.S. troops that are on the ground in Korea right now make clear, that we’re going to live up to that promise. And the deployment of a THAAD battery in South Korea would enhance our ability to do exactly that. We’ve explained that to the Chinese at the highest levels, and we’ll continue to go to great lengths to help them understand exactly what we are trying to do. And I know that that is something that is taking place not just at the presidential level, but I know that there have been some conversations through diplomatic channels, military channels to try to ease the concerns of the Chinese that this is an effort that’s focused on North Korea and not on having any impact on China’s capabilities. Q And one more thing. Recently, high-level diplomat — North Korean defector, Thae Yong-ho, from UK — he has testimony, and he said that North Korean Kim Jong-un will (inaudible) nuclear weapons, and that he also said that it is a waste of time for Six-Party talks to (inaudible) the North Korean nuclear weapons. Do you think we still need Six-Party talks? MR. EARNEST: Well, I haven’t seen the specific comments of the defector that you cited, but I can tell you it’s the United States’ policy that the United States is prepared to engage with North Korea diplomatically when they make clear a commitment to a set of principles, including denuclearizing the Korean Peninsula. And we’ve made that clear, and that policy hasn’t changed. Let’s do a couple more here. John. Q Thank you, Josh. And despite differences on things, thanks for your graciousness to me and always helping me on answers, and especially helping some friends of mine when they wanted some things in the White House. MR. EARNEST: You’re welcome, John. I’ve enjoyed the opportunity to work with you, as well. Q Thank you. Questions are twofold. First, David Horowitz, the author, has come out with a book entitled “Big Agenda,” in which he says that Donald Trump has an agenda to repeal or roll back 90 percent of the executive orders and executive actions that President Obama took in his eight years in office. Your reaction to that? And do you think that’s possible to actually do? MR. EARNEST: I haven’t heard of the book that you’re referring to. What I can tell you is that President Obama has often made the argument that there’s a difference between campaigning and governing. And I know that the incoming President made a lot of promises about all of the executive actions that he was going to repeal, but when he’s responsible for governing the country, he will have to reconcile those promises with the impact — the negative impact that following through on those promises would have on the country. That may end up altering his decision to follow through, but ultimately those will be decisions for him to make. And it’s why you heard me on many occasions express a preference for working with Congress to try to institute policy that would be good for the country. But we ran into a brick wall of opposition when it comes to Republicans when they took power in 2011, and so we didn’t pass as much legislatively as we would have liked to have done. But the President did use his executive authority to advance our country’s interests and to advance the agenda that he was seeking to implement. And the incoming President will have to determine how much of that he wants to roll back. Q And I’ve been dying to ask this all day — all week, actually. Two former press secretaries to presidents have gone on to run for elective office after they left the podium up there, both unsuccessful. Would you ever consider relocating to your home state, the “Show Me” state of Missouri, where they do need some fresh Democrats — I don’t think you’ll argue about it — (laughter) — and run for office yourself? MR. EARNEST: Well, what I can tell you is that I know that there are a lot of talented young Missourians who are Democrats who should not be overlooked. And I’ve certainly been in touch with some of them, and I think there’s a bright future for Democrats in Missouri, but at this point I’m not planning to be one of them. Q Josh, over the weekend the President-elect told the Washington Post that he is supporting insurance for everybody, health insurance for everybody. Is this a plan that the President — said he’ll support something that’s better than Obamacare? Is that enough to whet his appetite? Or does he need more information? MR. EARNEST: Jared, the President — I can tell you that President Obama looks forward to somebody calling his bluff. The President spoke on live, national television, in primetime, looked directly into the camera and said that he will advocate for policy, even if it’s put forward by Republicans, if it will cover more people and more effectively lower costs than even Obamacare has. So the President stands by that promise. And according to what the President-elect promised to The Washington Post, it sounds like we might get a chance to see whether or not he’s calling that bluff. The best way to cover everybody, and I think the only way that anybody thinks you can cover everybody, is through a single-payer plan. So it’s unclear, I think, exactly at this point exactly what the incoming administration’s plans are. It does not appear that, according to some reporting that I saw, that even their nominee to be HHS secretary is clear exactly what their plans are. But the President made that commitment, and he’ll stand by it. And I assure you that there are few things that would make him happier in his post-presidency than to have the incoming administration call his bluff, because this is an issue that he feels strongly about. And as he himself has said, there’s no pride of authorship here. If there are improvements that can be made on Obamacare, he won’t hesitate to support them. Q And I know that you haven’t given us information about the frequency or duration or readouts of the calls between the President and the President-elect, but I want to ask, looking forward, once he’s on vacation after Inauguration Day, then-former President Obama, what’s the level of his unpluggedness, and will he be available if there’s a call from the Commander-in-Chief? MR. EARNEST: Well, I think what is certainly true of former presidents is they have a unique perspective on the burden and challenges that are assumed by the incoming President. And as President Obama said the day after the election, he’s rooting for the incoming President to succeed in uniting the country. And if there’s an opportunity for former-President Obama to assist in that effort, I’m confident that wherever he is, he’ll take the call. Q Thanks, Josh. I join in thanking you on behalf of the foreign press for working with us. Q And in fact, the first foreign pool was done when the President invited Indian Prime Minister in November of 2009, and since then we are having (inaudible). In the first briefing that the President — the press secretary did in 2009, the main foreign policy topic was the situation in Afghanistan and Pakistan. (Inaudible) was not. But my question is, there are still 10,000 troops left in Afghanistan. Does the President regret that he hasn’t recalled all the troops from there? And had the situation been different, had Pakistan been more helpful in eliminating terrorist safe havens from their territories? MR. EARNEST: Well, with regard to Pakistan, obviously, the United States has an extraordinarily complicated relationship, particularly when it comes to national security, with Pakistan. There are some areas where the United States and Pakistan have been able to effectively cooperate to counter terrorism and to fight extremism, and that’s served the interests of both countries. And obviously, tragically, Pakistan is a country where many victims of terrorism have been claimed. And the President certainly is interested and is hopeful that the next administration will be able to deepen that cooperation with Pakistan, because it wouldn’t just enhance security in Pakistan; it actually would make the United States safer, too. With regard to Afghanistan, I think this will be the kind of issue that historians spend a lot of time looking at when evaluating President Obama’s presidency. What President Obama promised to do when taking office was to refocus our attention on the threat from al Qaeda that emanates in the Afghanistan-Pakistan region. And President Obama put in place a strategy, working closely with his national security team, at the State Department and the intelligence community, and, of course, the Department of Defense. And over the course of several years, in part relying on some new capabilities, succeeded in decimating core al Qaeda that previously menaced the United States from hideouts in the Afghanistan-Pakistan region. That is a major accomplishment, and it’s an accomplishment that has made the American people safer. But the threat in that region of the world has not been eliminated, and there continue to be a smaller number of U.S. servicemembers keeping us safe, engaging in counterterrorism operations in Afghanistan. They’re also working closely with thousands of troops from our NATO partners who are also there doing the same thing. And I know there has been a question raised about how important a role NATO has played when it comes to counterterrorism. You have to look no further than Afghanistan to assess just how valuable a contribution that they have made to that effort. So the situation in Afghanistan continues to be one of concern, and I think the President would acknowledge that this is an area where we’ve made important progress that has made the American people safer, but there’s still important work to be done in this region of the world, and this is a responsibility that the incoming President will assume. Q And the President visited India twice; no other President had in the past. And he has met with Prime Minister Modi both times. What kind of relationship the President would like the new administration to have with the largest democratic country in the world? MR. EARNEST: President Obama did make strengthening our ties with India a genuine priority. The President believed that that served our economic interest and our national security interest, and that would certainly explain the frequent visits of both Indian Prime Ministers during President Obama’s tenure in office to the White House, and it would explain President Obama’s visits to India as well. And each of those visits was oriented around a discussion about how to deepen our economic ties in a way that has positive benefits for workers in both our countries, but also to look for ways that we can work more effectively together to fight extremism and to enhance the security of citizens in both our countries. And President Obama certainly believes that we have made important progress in deepening and strengthening the relationship between two of the world’s largest democracies, and is hopeful that that progress will continue under the next administration. Q Thank you. I truthfully was going to ask first, what the heck happened with the Chiefs the other night? (Laughter.) I’d like to know the answer to that. MR. EARNEST: Unfortunately, it’s just the latest in a long string of heartbreaking playoff defeats for the Kansas City Chiefs. So there’s always next year. MR. EARNEST: I did not say how long they’re going to stay. They will arrive on Friday afternoon in Palm Springs, but I don’t anticipate having any updates on their travel schedule beyond then. Q And you said the First Family — so the daughters will also be going on that trip as well? MR. EARNEST: That’s my understanding. And we’ll confirm that for you on Friday. MR. EARNEST: Yeah. I guess this is one of the benefits of ending the presidency on a Friday, is I don’t anticipate that there will be any more weeks-ahead. The President and the First Lady and their family are looking forward to getting out to Palm Springs and beginning to relax a little bit, but I don’t have any updates on their plans beyond that. Q And then one final question. We always assumed that the book the President was writing was a memoir. Is it possible that he’s writing the next great American novel? MR. EARNEST: If he is, he has not told me that, but I think for a variety of reasons we’re all eagerly anticipating how President Obama chooses to devote his time after leaving the White House. While the House Republican budget aims to reduce the deficit, the math just doesn’t add up. Deficit reduction that asks nothing from the wealthiest Americans has serious consequences for the middle class. By choosing to give the wealthiest Americans a new tax cut, this budget as written will either fail to achieve any meaningful deficit reduction, raise taxes on middle class families by more than $2,000 – or both. By choosing not to ask for a single dime of deficit reduction from closing tax loopholes for the wealthy and well-connected, this budget identifies deep cuts to investments like education and research – investments critical to creating jobs and growing the middle class. And to save money, this budget would turn Medicare into a voucher program–undercutting the guaranteed benefits that seniors have earned and forcing them to pay thousands more out of their own pockets. We’ve tried this top-down approach before. The President still believes it is the wrong course for America. For the first time since taking office, President Obama is going to Israel, and the stakes are high. The White House confirms he and Israeli Prime Minister Benjamin Netanyahu agreed in a January phone conversation that the time is right for a visit…. The Obama administration has killed any notion of minting trillion-dollar platinum coins to solve the nation’s debt ceiling woes. In a written statement released Saturday, White House Press Secretary Jay Carney says there are only “two options” to deal with the looming need for the U.S. government to pay creditors for federal funding it has already spent. Minting the proposed currency to pay it off and avoid an impending battle with Capitol Hill is not one of them.